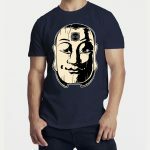 Product ID: 276 SKU: N/A. 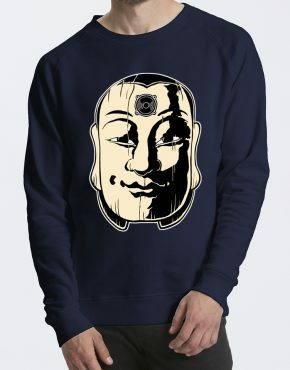 Categories: Men | Unisex, Sweaters, Women, Sweaters, Deals. As a jazz fan his first choice for a design was obvious. 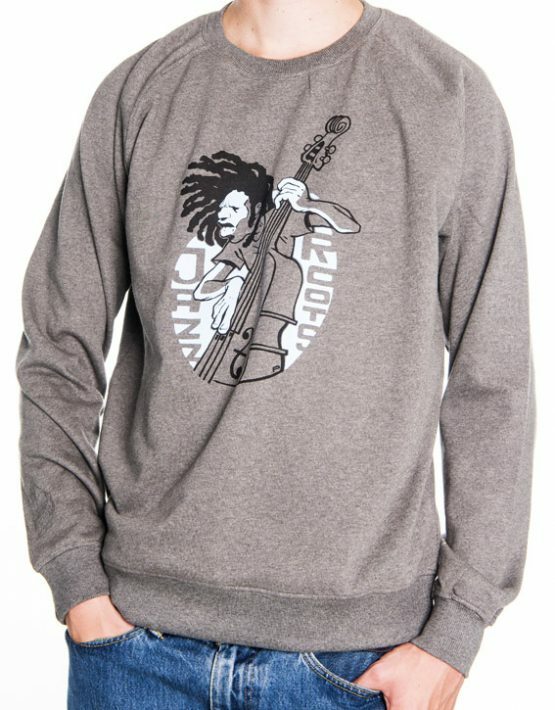 Also have a look at the “Roots” design he made as second drawing. 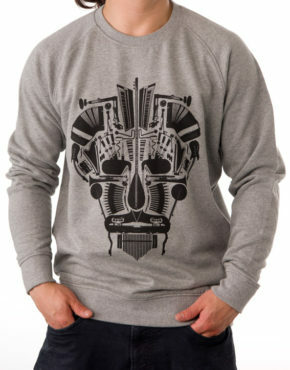 This grey sweater was only printed 22 times! And no reprint will be done so catch it while you can. 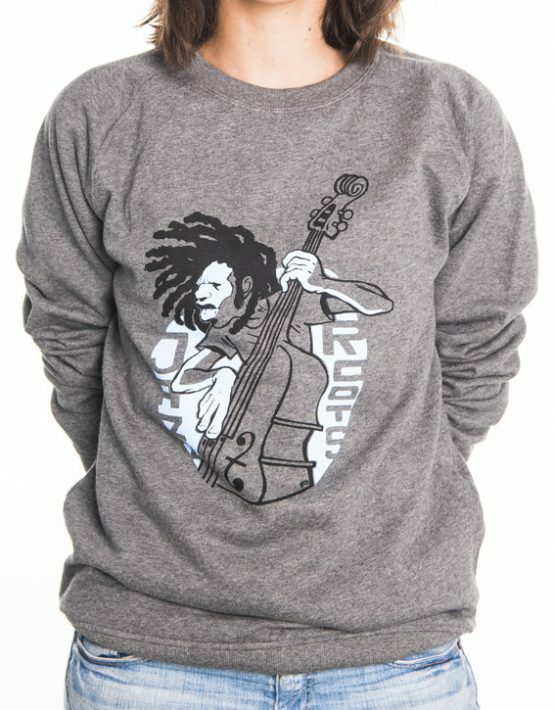 The Sweater is delivered by “Neutral” and is made out of 100% organic cotton. High standard Fairware! Cedric Myton wearing the Jazz T-shirt in Jamaica. “Power Through Music” © Nicola van Acker – Sport Grey Unisex Sweater – 100% Organic Cotton – Limited 30 print! 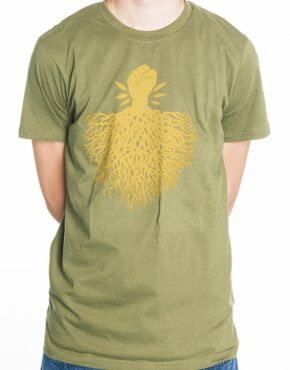 Roots T-Shirt Green/Gold – ONE Medium left before Sold Out! 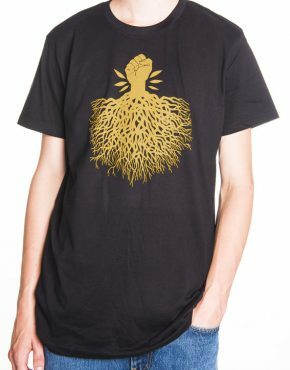 Roots T-Shirt Black/Gold – Sold Out! 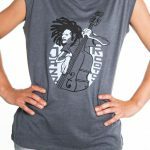 Jazz Woman Grey – Small Sold Out!